Between 8th and 22nd of November 1980 I spent two weeks in South Africa supporting the SAR trials of the BR/Brecknell Willis high speed pantograph. 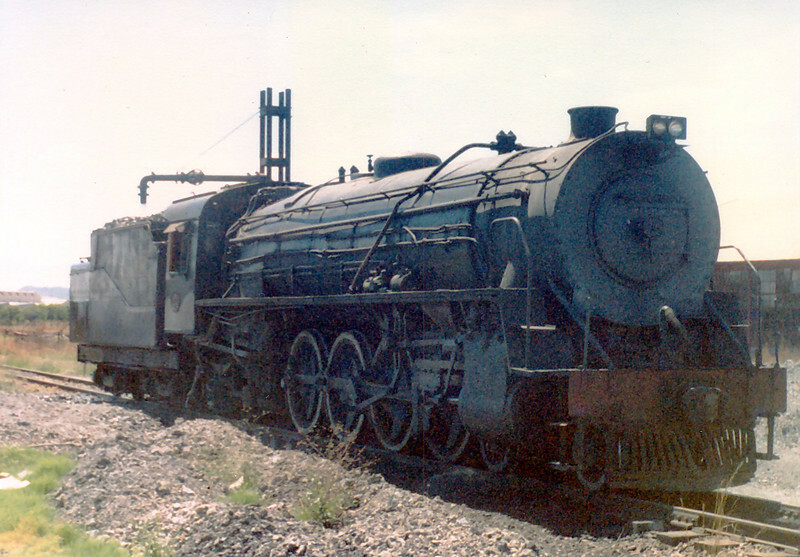 During this period I visited the railway depots of Capital Park, Pretoria and Germiston, Johannesburg where I was fortunate enough to see a great many active steam engines, 12 years after steam finished in UK. Here is a selection of pictures - excuse the poor quality - this is a combination of poor film, cheap camera, extreme contrast between the bright sunlight and shadows in SA, not to mention an amateur cameraman!